Attwood's shower sump pump systems deliver excellent performance. Offering fast water flow into and out of sump. Includes a gasket to seal the sump box against overflow. 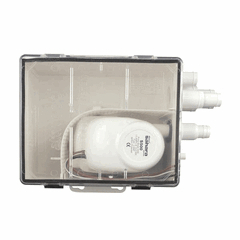 The sump box includes an air vent to prevent air locks.